Open source software has come a long way since the turn of the century. Every year, more and more people are embracing open source technology and development models. Not just people, though—corporations and governments are exploring open source solutions, too. From the White House to the Italian army, open source is appearing more frequently in the public sector. One of the newest additions to the list is the municipality of Tirana, Albania. On June 11, the local government in the municipality of Tirana migrated its private cloud to Nextcloud, an open source cloud and office productivity suite. The decision to move to an integrated cloud and office suite came after internal discussions about security and performance. Because Nextcloud is entirely open source, it stood out as a powerful option. Tirana, Albania's capital and its largest city, was looking for ways to optimize on costs without sacrificing security. Many people familiar with open source are aware of the security benefits of using open source software. Instead of relying on a private firm to secure the code, open source software benefits from letting anyone (or paying someone) to audit the code, find flaws, and submit bugs or patches to get them fixed. 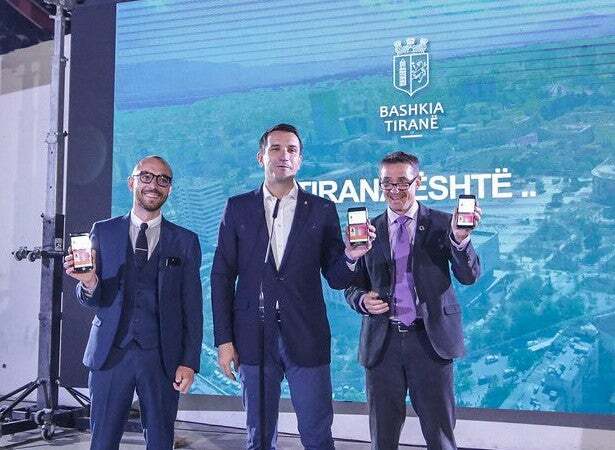 This was something Ermir Puka and other members of the IT team in Tirana considered when choosing a cloud solution for the municipality's 600 employees. "The IT director at the municipality of Tirana thought the movement to Nextcloud, which is an open source platform, gives us flexibility since we won't be dependent [on] providers who offer proprietary solutions. We can also develop it ourselves, according to our needs, if we have the staff with the necessary qualifications to do such a thing," Puka said. Nextcloud stood out not only for its use as a file-sharing tool, but also for the other features that make it helpful as an office productivity suite. With Nextcloud, you can edit documents simultaneously with Collabora Online, share calendars with co-workers, use an intranet messaging system, and access it on your phone. Nextcloud also has a large selection of open source apps available to add to an installation. The municipality of Tirana celebrates the launch of its open data portal, opendata.tirana.al. @erionveliaj via Twitter. Tirana is one of the first municipalities in southeastern Europe to implement open source technology in the public sector. This continues the municipality's growing interest in open source; it recently announced its open data portal (opendata.tirana.al) and decision to collaborate with the local open source community by contributing GIS data to OpenStreetMap. "We also hope to give a good example in the region, and maybe other municipalities can follow our example," Puka added. This further shows the municipality's dedication to saving money on software licenses, protecting user privacy, and innovating by using open source technology. Members of Open Labs Albania collaborating with the municipality of Tirana on providing GIS data for OpenStreetMaps. @erionveliaj via Twitter. Tirana is located in Albania, in southeastern Europe, on the Mediterranean Sea just above Greece. The open source community in Tirana is growing each year. This is due in part to the Open Labs Albania community in the city. Open Labs Albania is a not-for-profit hackerspace that promotes free and open source technologies, open data, open technological standards, and online privacy. You can read more about it in its manifesto. This continues an exciting trend for open source in the region. In March, the hackerspace held the first-ever overnight hackathon for the UN Sustainable Development Goals, with an emphasis on sustainable projects with open source licenses. It also hosts Linux Weekend, an annual mini-conference to help onboard students and interested technologists to Linux and open source. However, its most well-known event is Open Source Conference Albania (OSCAL), an annual conference that gathers open source developers and community members from around the world. Together with the municipality, Open Labs has helped provide advice and support for some of the municipality's research into using open source software. If you're interested in learning more or sharing your thoughts, you can view the European Commission's announcement or visit the thread on the Open Labs forum.